I was recently given the opportunity to review a book from MyFairyTaleBooks.com. 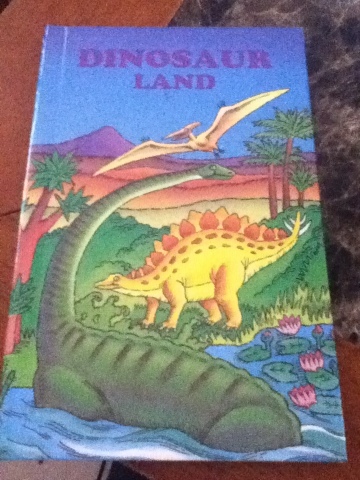 I chose to review "Dinosaur Land" with Xander, because he has always been fascinated with Dinos! 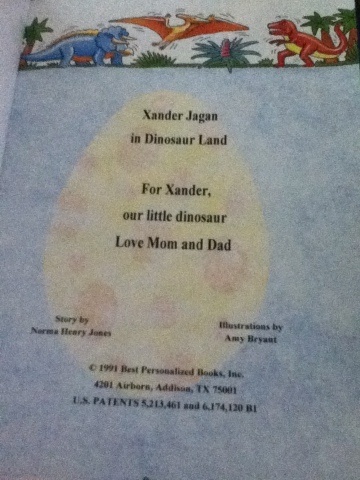 This is what the cover looks like, I love that Xander didn't know yet that it was about him! Then, you can choose your own personal inscription or dedication. 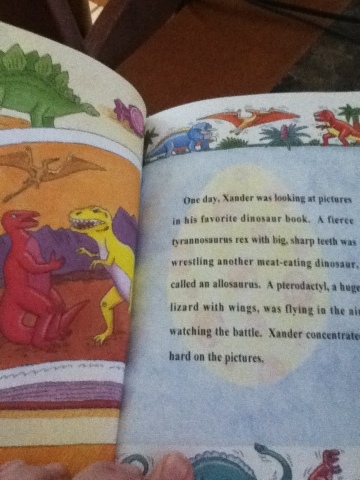 And finally, the inside of the book, Xander LOVED that the book talked about real dinosaurs, and was informative, it's part story, and part real information about dinosaurs. You email them a picture of your child, and they are a part of the story! One reader of 7 Kids and Us is going to win their very own book! Disclosure: I was given a MyFairyTaleBook to help with my review. All opinions are 100% mine. I would pick My Baby Book. We are due with our first baby, a boy in January. Thanks for the chance.